I enjoyed book one, and saw books two and three were on KU. 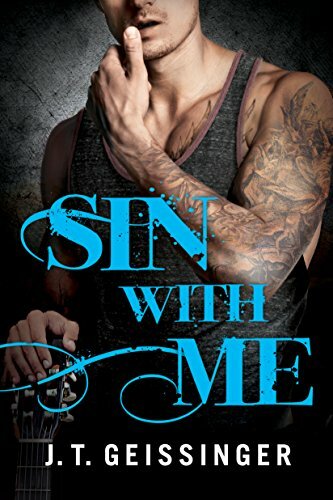 I love JT’s writing style in paranormal reads, and after enjoying the first in this series I knew that her contemporary reads suited me too. Sometimes the transition works, other times I find I enjoy books in one genre by authors, but not a different one. I remember Chloe and AJ from the first book, and the wedding from that one brings the two closer together – and boy, did those sparks fly. Chloe and AJ have some serious heat between them and as usul AJ writes that in a very believable way. I could see events playing out as they did here. Of course its never plain sailing is it, there’s always something holding them back and this one was something outside the norm. I loved that, sometimes the restriction and issues seem to be cut from the same page in romance novels so its always fun when an author comes up with something new. A great read, my favourite so far. Stars: Five, a terrific band book, with realistic characters. Book three was another great read but….I wasn’t quite so taken with it as book two. I loved the characters but the issues holding them back were pretty complex, and though I felt for Grace I wasn’t convinced of her solution to the memory problem. but then what could she do? what would be best? she was trying to prevent others from being hurt but it was costing her dearly and wasn’t really working anyway. You can’t apply logic to emotions and expect it to work. doesn’t stop us trying though 😉 I loved Brody, the enigmatic strong and silent guy but I wouldn’t want to be him, he’d paid many times over for his secret. Sometimes things just happen, and we blame ourselves but that doesn’t mean we’re to blame….complex. The trouble with secrets though is the always come out, and always at the very worst time…but JT pulls them through in a very believable way. Stars: four and a half, a great read but not quite the magic five.